Home › Psychology | SEO › Does Curiosity Help With SEO? Does Curiosity Help With SEO? 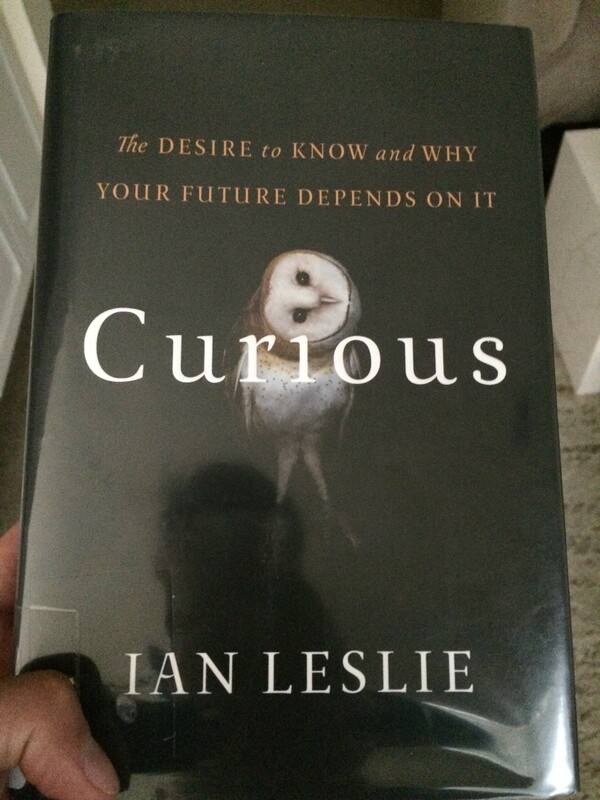 I just finished the book Curious: The Desire to Know & Why Your Future Depends On It and I highly recommend it. Throughout the book author Ian Leslie points out that curious minds end up being the ones that change the world. He mentions Benjamin Franklin and how he constantly asked the question “Why?” When I quite my day job at as a retail manager the number one reason I walked away was because my superiors could not answer the question “Why?” In fact, they discouraged even asking the question at all. After studying Google algorithms and how to rank in Google search for over seven years I can say, without a shadow of a doubt, that my curiosity is the reason for my overwhelming success. If I wasn’t curious there is no way I would have tried to optimize different keyword phrases. If I wasn’t curious there is no way I would have built the business connections I did in different industry. If I wasn’t curious I wouldn’t have even started the process of learning how the Google algorithm works. To be successful in SEO and ranking in Google search you must be willing to try many different strategies. No one strategy works. Any SEO “guru” that tells you that he or she has the secret sauce is lying. There is no secret sauce. It is throwing spaghetti against the wall, seeing what sticks and repeating the process daily; sometimes hourly. What works today likely did not work six months ago. What worked six months ago did not work two years ago. SEO is a constant grind and you had better be curious if you hope to rank a business website in Google search. Over the last several months many business owners have come to me asking why it is that their competition is beating them for specific keyword phrases. Fortunately, these business owners are curious as to why they are losing ground when it comes to Internet search. Most of the time, a lawyer, dentist, orthodontist, real estate agent, mortgage broker or medical professional needs to think outside the box if they hope to rank in Google search. I received an email from a business partner a few days ago and he said it best. He said, “I want to do what no one else in my industry is doing on the Internet!” Bingo. That is the best SEO you can ever do. If your business is looking to improve in the Google search rankings let your curiosity run wild. What are some different ways in which you can publish content related to your industry. Should you do videos or graphics? Do you have unique photos or pictures you can publish on your website? Are their calculators or tools you can create that will make your website more user friendly? Scour the Internet and see what other industries are doing? Read a few books from entrepreneurs that will allow your mind to wander. If you need help with your Internet marketing or SEO feel free to reach out to me at jwojdylo@gmail.com. Something I enjoy doing is reading biographies of those that were successful in the 1700s, 1800s and early 1900s. Why was Sam Walton so successful in creating a retail giant? He did it before the Internet era but can we use some of his strategies with a company that makes their money online today? Benjamin Franklin was one of the greatest minds of all time but he never used a computer. Maybe if we combine Franklin’s and Thomas Jefferson’s ideas on technology we can come up with a unique way to produce content for a business website. If you have general curiosity in the world in which we live you will naturally be good at SEO and Internet Marketing. That said, most business professionals are set in their ways and they only know of one topic and that is their occupation. If you are looking to grow your business by expanding a presence online I would strongly suggest using your curiosity or finding someone that is genuinely curious about many areas related to your business and not related to your business. If you would like to grow your business through online search reach out to me at jwojdylo@gmail.com as I have several monthly packages that can help you increase your search rankings.